Our primary objective, first and foremost, is to make MAINE GIRLS easy to watch and accessible for all. If you have any questions about pricing or how to access the film, please do not hesitate to email our team at info@mainegirlsfilm.com. MAINE GIRLS is now available for rent or purchase on Vimeo On Demand. Stream and download the film instantly by clicking the "Stream on Vimeo" button below. Are you a college student, professor, or member of a public library? If your university, college, or library is a registered Kanopy user, you can watch MAINE GIRLS for free! Simply click the “Watch on Kanopy” button below to search for your school or library. Want to watch MAINE GIRLS on DVD? 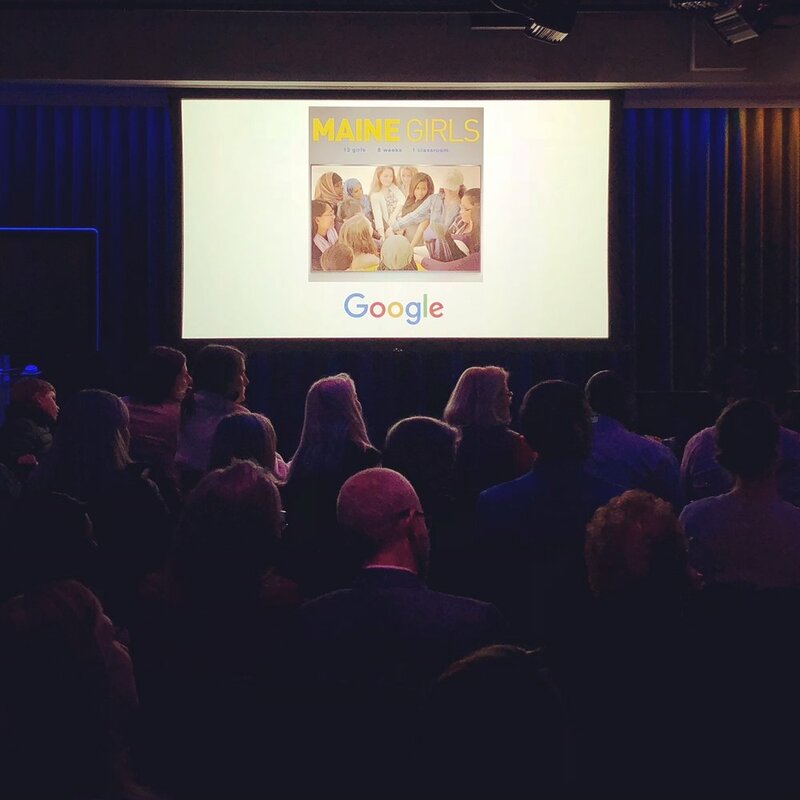 Please email us at info@mainegirlsfilm.com with your name, title, name of organization, reason for screening, email address, and delivery address to purchase a DVD of MAINE GIRLS. Want to host your very own screening of MAINE GIRLS? By becoming a host you're bringing a powerful conversation about immigration, equity, discrimination, and hope from South Portland, Maine directly to your community. To learn how to host a screening, please visit our Host a Screening resource page. On this page, you can sign up to become a host and find resources that are sure to make your screening experience seamless, fun, and impactful. * Sliding scale prices are available based on need. If you need assistance, please email our team at info@mainegirlsfilm.com.